Our colleagues work tirelessly round the clock. Here are some of their stories. Win an exclusive SMRT Trains Thumbdrive! Question: Who was the Guest of Honour when MRT operations began on 7 November 1987? Email your name and answer to Editors@smrt.com.sg by 24 September 2017. Five winners will be picked from this week’s online giveaway. Answers and winners will be published on this blog by 29 September 2017. 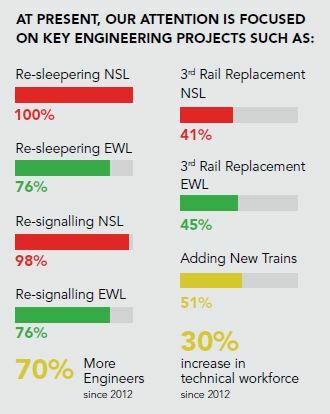 Our renewal works on the North-South and East-West Lines (NSEWL) will ensure fewer train breakdowns, smoother rides and shorter waits. 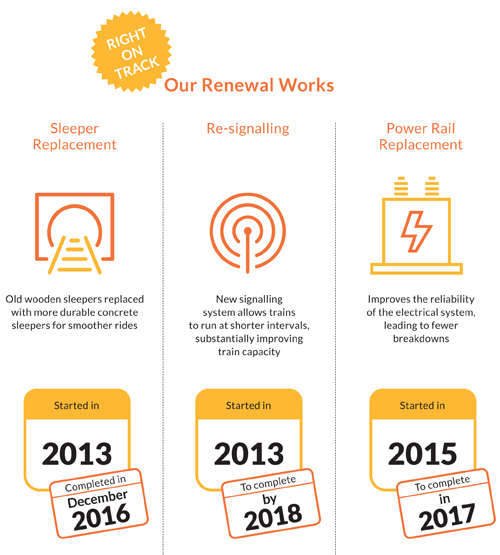 Please refer to the Trains Operations Review 2017 for more information. 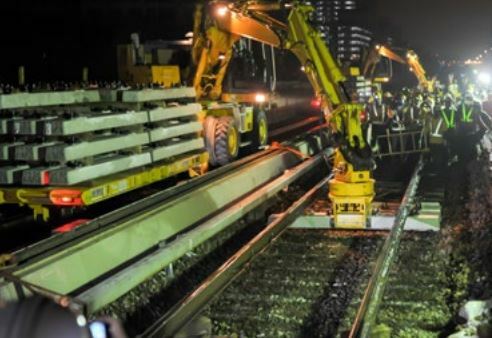 Question: How many wooden sleepers on the NSEWL were replaced? 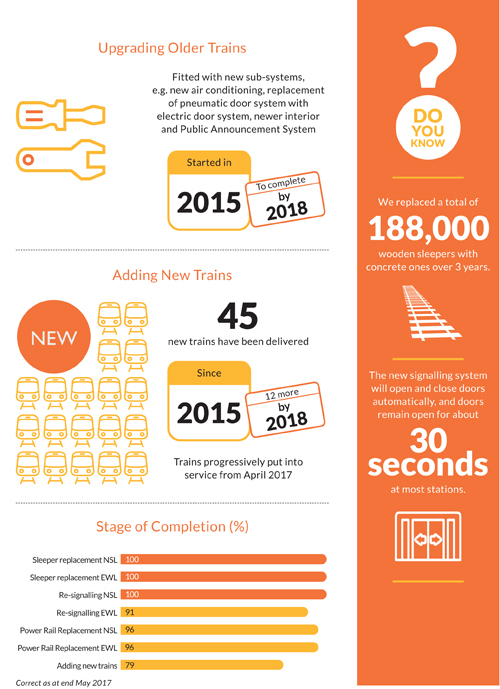 Graphics: SMRT Trains Ltd. Operations Review 2017. At SMRT, we believe in having a positive impact on the communities we serve. With island-wide operations, we are committed to conducting our business in an economically, socially and environmentally–friendly manner that balances the interests of our stakeholders. 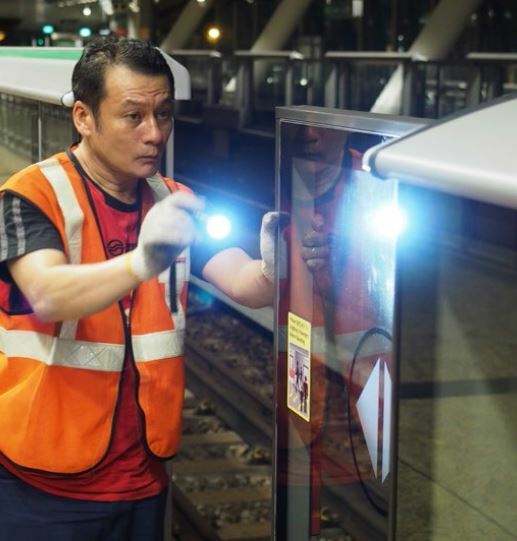 SMRT’s corporate social responsibility (CSR) strategy ensures greater affinity between our CSR programmes and our vision of Moving People, Enhancing Lives. Our CSR objectives are to support sustainable development at SMRT, while giving back to society and building a fair and inclusive community. CSR at SMRT is defined by three fundamental principles relating to philanthropy, volunteerism, advocacy and operational practices. In August 2017, SMRT unveiled a $30 million Gift of Mobility Fund to benefit elderly and commuters with disabilities. Efforts include the sponsorship of specially equipped vehicles that can carry wheelchairs, and inclusive playgrounds configured for children with different needs, enabling all to mingle in a play setting that fosters diversity. SMRT will partner the Community Chest to channel the fund towards supporting those in need and enabling the social service sector. The Gift of Mobility Fund will broaden and deepen SMRT’s collaboration with Community Chest to lend a helping hand to the public with mobility needs. Social service organisations can tap on this fund to explore partnership opportunities to improve mobility and inclusivity in Singapore. 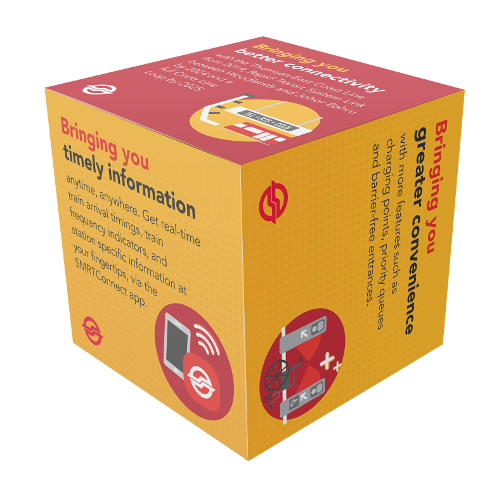 In the last 30 years, SMRT has been actively involved in projects that enhance the lives of Singaporeans through greater mobility within and outside its public transport network. The Gift of Mobility Fund will enable SMRT to make more substantial contributions to mobility causes and extend its reach to an even larger segment of society, in particular the elderly and commuters with disabilities. 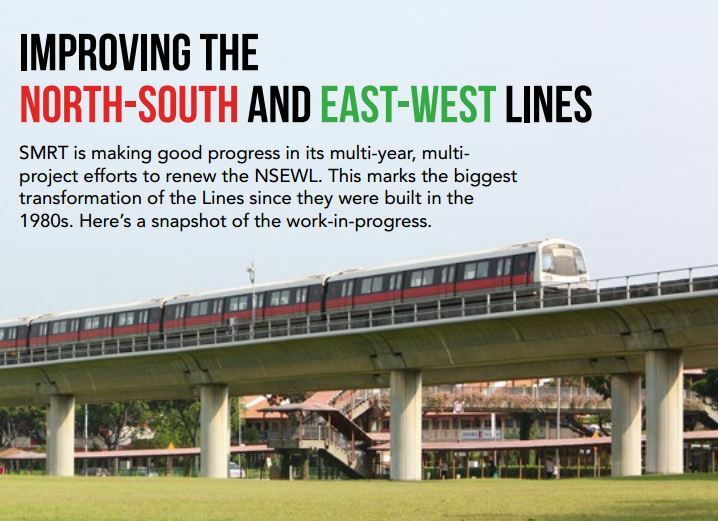 Please list two initiatives under SMRT’s Gift of Mobility programme. Email your name and answers to Editors@smrt.com.sg by 24 September 2017.